Stories and legends have helped us since we were children to understand better our environment and the origin of everything that surround us. And, when they are about something so important as music, which is with us at every moment in our lives, then those stories and legends deserve to be put together in a wonderful book, which takes us to an amusing and instructive journey throughout music history, jumping from one piece of music to another thanks to the CD that is enclosed. "... this book, which is accompanied by a CD, goes across the history of music, ranging from the Green mithology to the 20th century. The text has a clear aim of information and each chapter deals with a specific period of music, including a really amusing and educational theorical part and a fictional story which presents an anecdote or a character that was previously introduced in the chapter (...). As the author says, this book is structured in a way that is similar to Mussorgsky's Exhibition Pictures. In that piece of music, music describes the pictures. 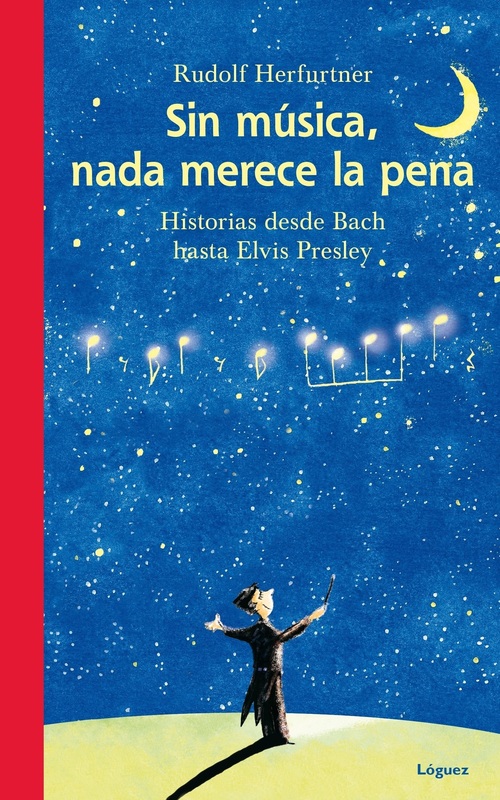 In this book, pictures are stories and music is the non-fiction compound. (...). The reading is combined with a CD that contains a selection of pieces from the text, with information side notes showing the track number: music by Bach, Monteverdi, Händel, Schubert, Bizet... There is even a song by Elvis, That's all right, Mama. There is also a glossary on the last pages which gives us some information about musical terms... This is an amusing and educational book, enjoyable by music lovers and very useful for obtaining a general overview which could attract those who are not experts" (Babar Magazine).